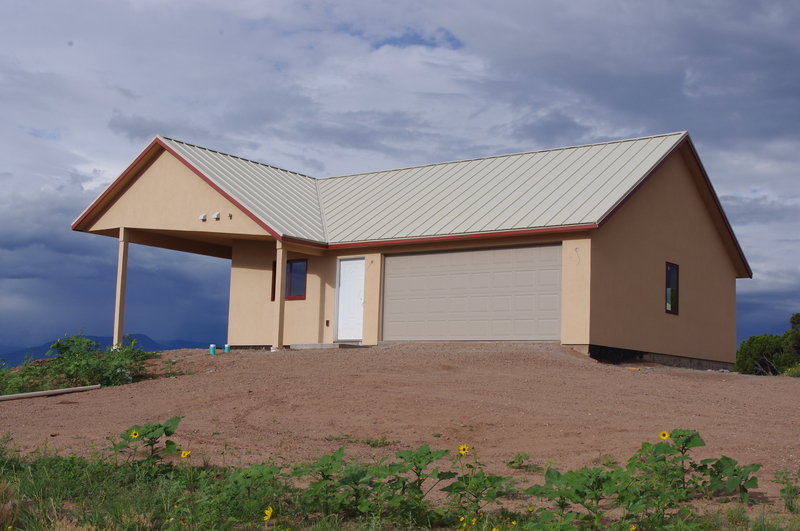 The NEW look of our new home in the foothills! I was up there bright and early today to see the new (and final!) 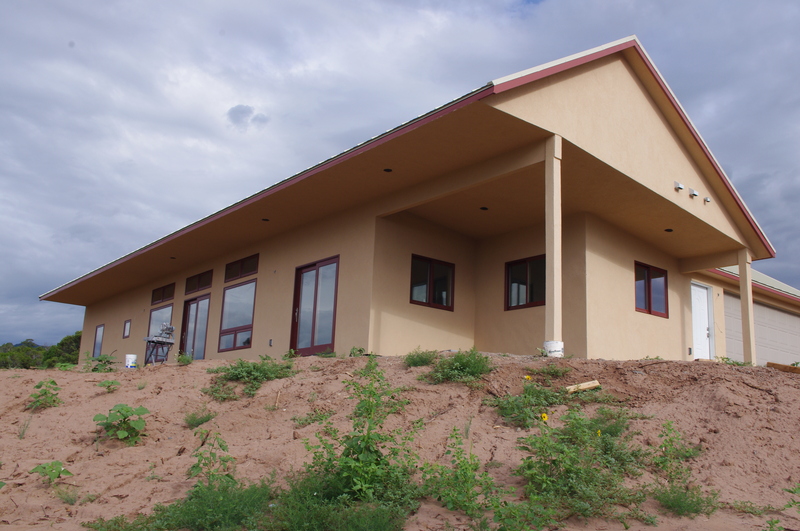 stucco color on our house. What do you think? I LOVE IT! We plan to paint the white door and maybe even the garage door red. We also will add a red awning over the front door. Here’s the view from the south-facing side of the house as you walk around it. And the view from below the house. 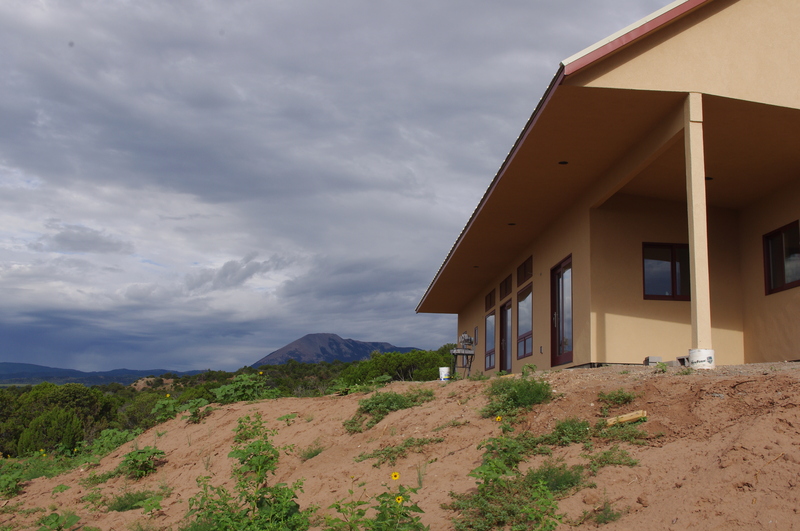 These photos don’t portray the adobe color of our home exactly how it looks, but trust me, it looks great sitting up on that hill… and only two weeks to move-in day, yikes! This is a shot I’ve been trying to get for at least 6 months here in Walsenburg. We have coal trains coming through here 20+ times a day, and we have to drive over the tracks constantly here in town. 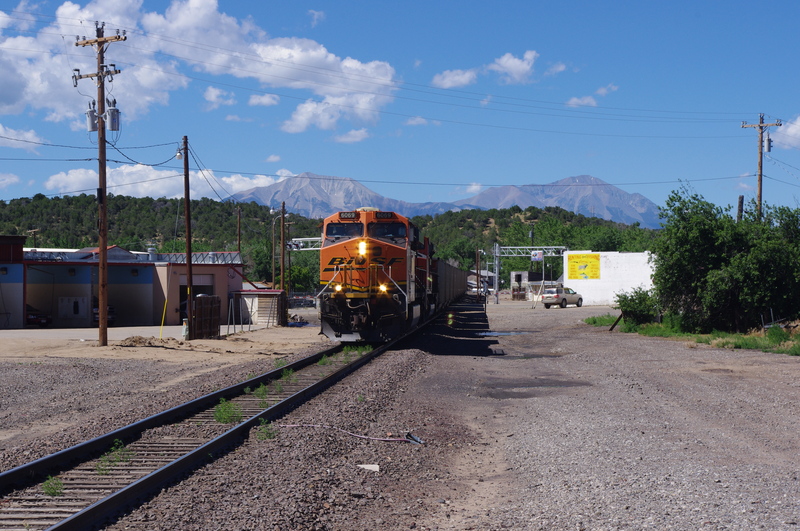 This shows the Spanish Peaks behind the train as it enters downtown. The noisy trains are something I will NOT miss about living here in town! Love the house and the view. I think the red doors are a great idea. So exciting that move date is now so close. Good luck as you settle in.